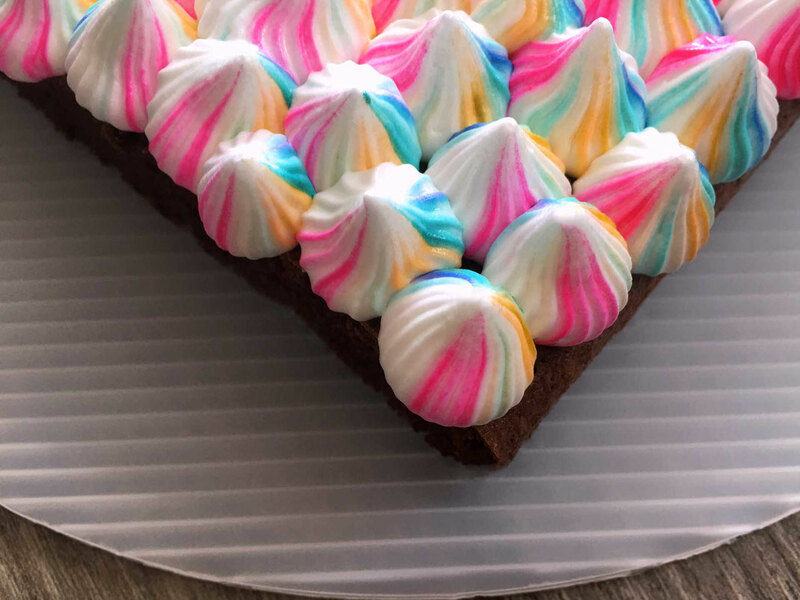 I totally love this meringue frosting and think it goes perfect with chocolate brownies. You can take this brownie recipe and this one for the frosting. The decoration was so simple. I just used a piping tip 199 and used a little drop of Wilton pink, orange and teal in the piping bag to color the frosting and pip it on the brownies.